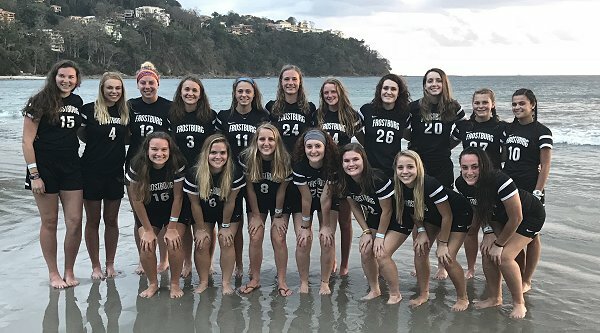 This is a journal of what's happening in the FSU Women's Soccer program at Frostburg State. Thanks for checking in and for your interest in FSU Women's Soccer! Competitive sports and soccer in particular, can be cruel at times. I'm not sure there's a team sport quite like soccer where one team can do so many things well in a game and still get outscored. A sport where the performance of the teams is more inconsistent with the final score of the game. So, an obvious challenge for players and coaches is to realize that playing well, putting in a good performance, doesn't mean you'll always win. The tougher realization is that without that consistent good level of performance, you know your chances of winning decline. So, good competitive teams have to be mentally tough and realize that eventually, throughout a given season, you're good preparation and energy and commitment and skill will eventually put you in a position to win some games. You hope the right number of games and at the right time of year. Our success at Gettysburg this week does feel like it was truly earned. Our players have shown tremendous determination and spirit through an early season that has delivered us some difficult score lines. Great timing for our team as we prepare for conference play to begin this weekend.